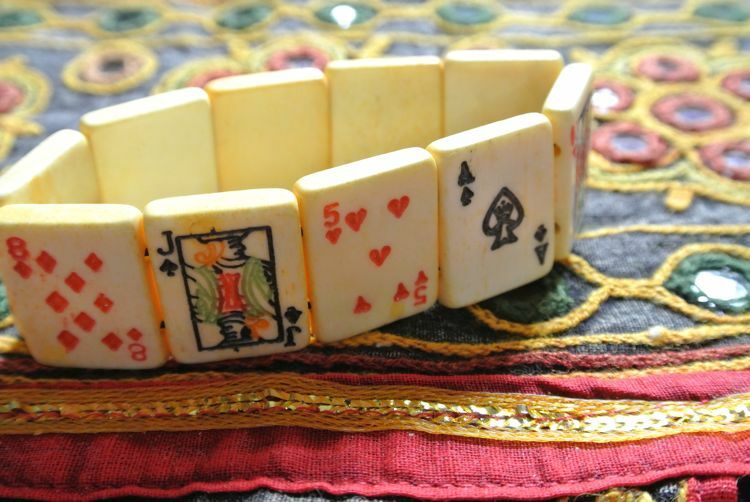 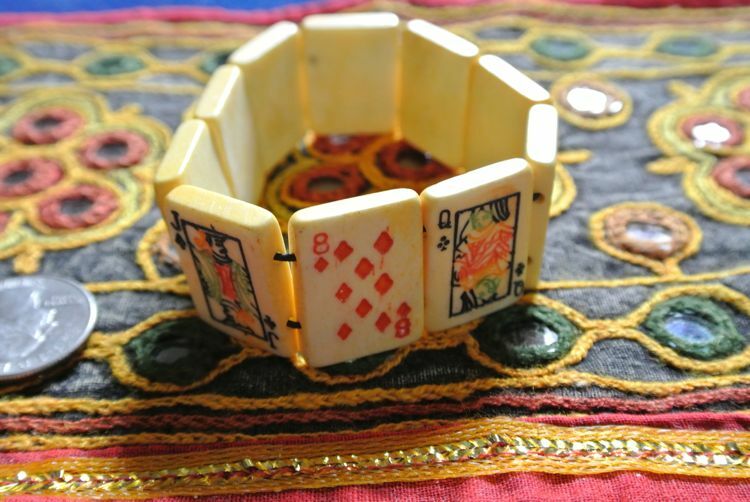 These 19x25mm bone poker tile beads are horizontally and double-drilled so they are suitable for use in bracelets. 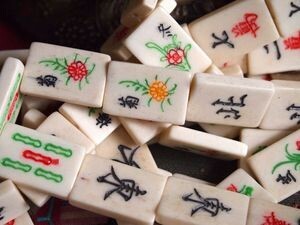 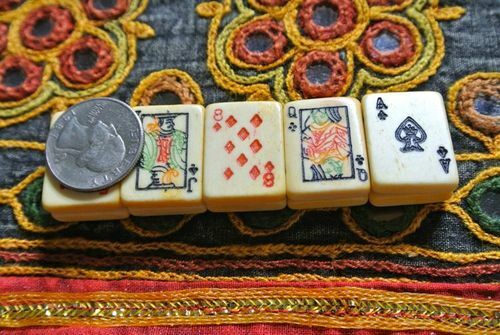 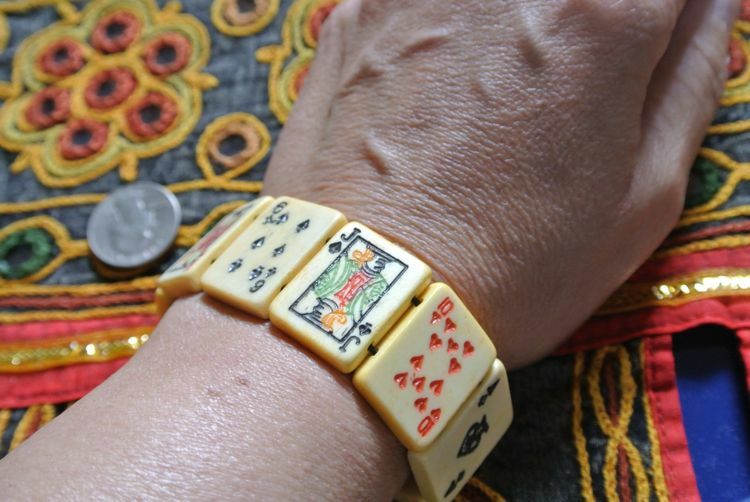 Etched and hand-painted, these coordinate well with our other poker tile and mah jong tile beads. 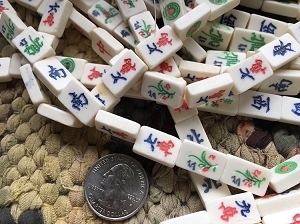 Note that these beads are single-sided (the pattern is only on one side). 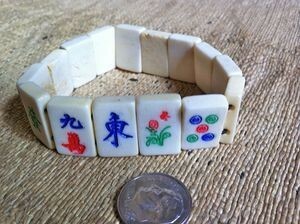 You will get a set of 10 which is enough to make one bracelet with no spacer beads.